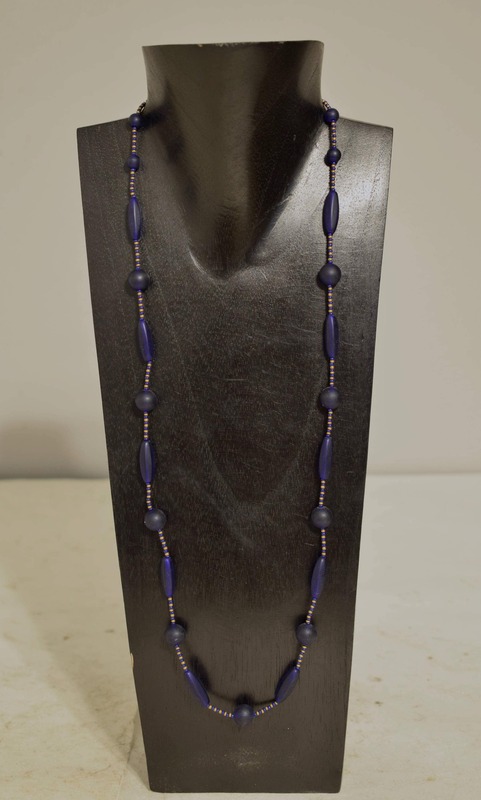 This is a Lovely Hand Designed Necklace with Dark Matte Blue Czechoslovakian Glass, African Blue Glass Tubes with Gold and Blue Seed Beads all strung on wire with a gold lobster claw clasp. This necklace was part of the Bacara Jewelry Collection of 25 years ago. A truly a wonderful necklace that will compliment any outfit, is lightweight and comfortable to wear, A great gift to give that special someone.